Mischief is a Digital Sketching Tool for Creating Concepts & Ideas. The fluidity and speed of this software is just phenomenal. It feels and looks like pencil and paper. The infinity canvas is also another things I enjoy a lot. I can layout ideas quickly and keep them all together easily and lightly for review through a super smooth touch interaction and with the ability to pin selected designs it makes it easy to never lose the good stuff. The brushes sometimes feel too simple for some tasks, which in a way force a certain style for drawings within the and I miss snapping features and perspective guides for drawing with precision. Another thing that would be greatly helpful would be some composting guide lines in conjunction with snap features to explore thirds, golden spirals, etc. I believe though are things that will come with time. I highly recommend this software to anyone in the creative field, even if you don´t consider yourself an artist, because it is super simple to use and it is a brilliant way to explain and explore ideas as an individual and in group meetings. Brainstorming and creative directions for projects and explaining ideas to team mates. Mischief has and infinite drawing canvas which means you can zoom and pan and draw anywhere on the canvas. The realistic brushes are great as is the ability to export any area of the canvas as an image in PNG, JPG or PSD formats. Mischief works well with drawing tablets such as Wacom Intuos as well as Astropad on an iPad. Mischief no longer seems to be in development. There has not been any updates in well over a year at this point. The tool interface is a little kudgy. I would prefer dockable, collapsible pallets. There was talk of releasing an iPad version for use with Apple Pencil, but that has not come to pass. Mischief was purchased by another company and there does not seem to be any further development of it. It was/is a promising product with room for improvement. There are other apps that can function similarly, but none offer the ease of use and responsiveness of Mischief. Mischief serves as my digital sketchbook: a place to get down initial creative ideas and refine them. The program is quick and intuitive and the infinite canvas means I can have all of my concepts together in one document, but can export areas of it as needed. What Drawing solution do you use? "Great Idea- Execution is dependent on individual "
There were 3 things I loved about this program: overall project size, infinite zoom and detail preservation with said zoom. There are no pen tilt paramaeters. Pen pressure is there along with brush creation. Try them out by accepting their free version to finalize your decision to purchase and support a really great art app. Prelim sketches a lot easier to store due to the file size. You can have a painting or sketch with numerous amount of layers and it still won't take up a megabyte where as in Photoshop your projects may take up a lot of your disk space. "Great for Fast Sketching with an Infinite Canvas"
This is a tricky piece of software. You shouldn't compare this with other software like Photoshop or Painter. With Mischief you will get a giant sketchbook with infinite canvas. I use it a lot in this way and i love it. His lightweight is another plus point, less than 50 Mb on disk. And it is fast as hell. Somtimes when you paste random images and get a lot of sketchs in one single canvas, the program can struggle a little bit..
Searching for a lightweight and fast software for sketching or an infinite canvas with no worries on sizes or resolutions? Then Mischief is yours. The primary sketching process and brainstorming drawing of characters and animation is being done with Mischief. "Mischief - one of the best sketching apps available"
Mischief is probably the best sketching application on either Windows or Mac for capturing quick ideas, with a very fast and scaleable UI I have used Mischief for sketching to storyboarding, which with it's infinite zoom capabilities means that you have a whiteboard which just keeps on going. Even though the UI is paired down, all the basics are there including rudimentary layer support. This simplicity though works in Mischief's favour as its an app that fades into the background while you work. As I mentioned Mischief is basic and therefore won't be everyone's liking. Also it feels like Mischief should be a mobile app for a device like an iPad Pro rather than than on a desktop where to get the best out of it requires at the very least a drawing tablet. 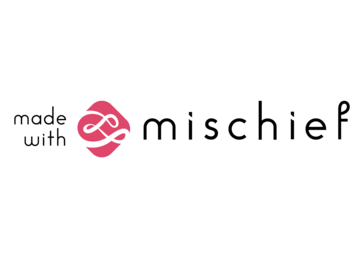 The Foundry also have made no secret about the fact that they bought Mischief for the underlying tech than the application itself so it will be interesting to see how long it remains in development. At the price it is hard to go wrong with Mischief, and while not as full featured as some other sketching apps, it offers a ludicrously quick drawing engine which pairs everything down to the basics, which unlike a lot of applications is a good thing. There is a free version and demo to dip your feet with which makes life easier before you purchase. "Mischief is a truly revolutional piece of software to bridge vector-style and painting." I was blown away by the infinite zoom. What I like in Mischief the most is the possibility to scale my images without any and I mean ANY loss in quality, as if I scaled a vector image. I have a habbit of starting thumbnails very small, and when working in Photoshop you will inevitably get horrible quality if you decide to resize that sketch to a bigger resolution. With Mischief, you can start your sketch in any size you want and using the infinite zoom you can add the highest amount of detailing in the same time. Small file sizes are also one of my most favorite things in Mischief. My regular paintings in Photoshop get over 200mb regularly, and that same painting never gets over 2mb in Mischief, and that only if I go mad with strokes. I also like the speed and simplicity of the program and options to export the image to a layered PSD, PNG, JPG. I'd like if Mischief had some artboard/canvas functionality. The infinite canvas is a double edged sword, by itself it's awesome, but when using other software with Mischief, it's a hurdle not to have a fixed canvas. Lack of features is Mischief's biggest "problem", but given the nature of the software, I presume it's very tough to add features we all are used to. I dislike the lack of any levels/curves/color adjustment options. You always have to fix those in Photoshop after you export. Soft brushes can really be better. I would higly recommend Mischief, it truly is a remarkable piece of software for what it does and I am sure more people would find a place for Mischief in their workflow. And it's very affordable, with a free version. I am often sketching the initial sketches with Mischief so I can resize and export to Photoshop and keep the nice sharp lines. One huge benefit of working on your illustrations in Mischief is that you can export it in huge dimensions for print, and keep the filesize very, very small. The biggest file I ever got was <5mb. So your storage space will benefit too. "Intuitive and really good simulation of real paper"
"Changing the game in digital drawing & painting software"
Shorter in-market time creates a smaller end-user/support community vs. the big dogs; for experiential marketing renderings/CAD drawings, etc., still requires integration into Adobe Photoshop, etc. I'm not adept at drawing but this gives me the freedom to be better than I could be. Learning the initial system, I'm not well versed in graphic design, but it seemed to take off after figuring out the basics. Interesting graphic software. It would enhance anyone's work. I've just begun to use it for enhancing articles and crafts and tried it on a colleagues computer. * We monitor all Mischief reviews to prevent fraudulent reviews and keep review quality high. We do not post reviews by company employees or direct competitors. Validated reviews require the user to submit a screenshot of the product containing their user ID, in order to verify a user is an actual user of the product. Hi there! Are you looking to implement a solution like Mischief?